Black Toast French Bowl 5.5in., 16oz. 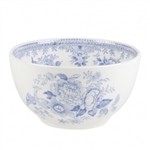 This Black Toast French bowl is pretty on your breakfast table. 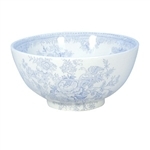 Blue Arden Bowl 4.75in. diameter, 12oz. 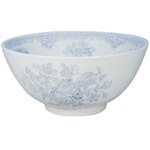 Asiatic Pheasant Bowl 4.75in. diameter, 12oz. Blue Calico Bowl 4.75in diameter, 12oz. Blue Calico 8in. Chinese Bowl 44oz.